This is the part of the gaming post where I establish a little context. Maybe I tell you how a particular genre is doing on Android, or how well this developer's previous games have been received. I could do that, but I won't, because the theme song in the trailer for Combat Monsters is kind of blowing my mind. It's easily worthy of a 1980s cartoon sponsored by Hasbro. Rubicon is the developer of the extremely solid Great Little War Game series, and Combat Monsters doesn't stray too far out of their wheelhouse. As mobile gaming starts to mature, new developers and properties have had a chance to shine. 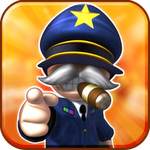 While Rubicon's Great Little War Game hasn't reached the lofty heights of some of the more mainstream titles, its mix of cartoonish humor and solid turn-based strategy has made it one of the most popular games on Android. The sequel, craftily named Great Big War Game, brings elements from both new and old strategy games to make a more cohesive whole. 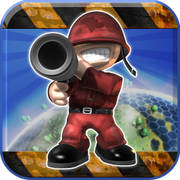 Great Big War Game Hits The Play Store With More Missions, Online Play – Rubicon: "See What We Did There?" Following up on the huge success of Great Little War Game, Rubicon Development has officially released the game's sequel: Great Big War Game. 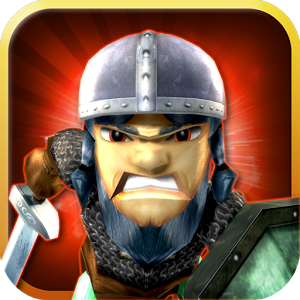 Like its predecessor, GBWG is a 3D turn-based strategy game with a "unique comical style." Indeed, the series' art style is unique and fun, adding a lighthearted vibe to a game that encourages players to "spread mayhem and destruction." The game also has an easy-to-grasp control scheme, relying primarily on tap and swipe actions.